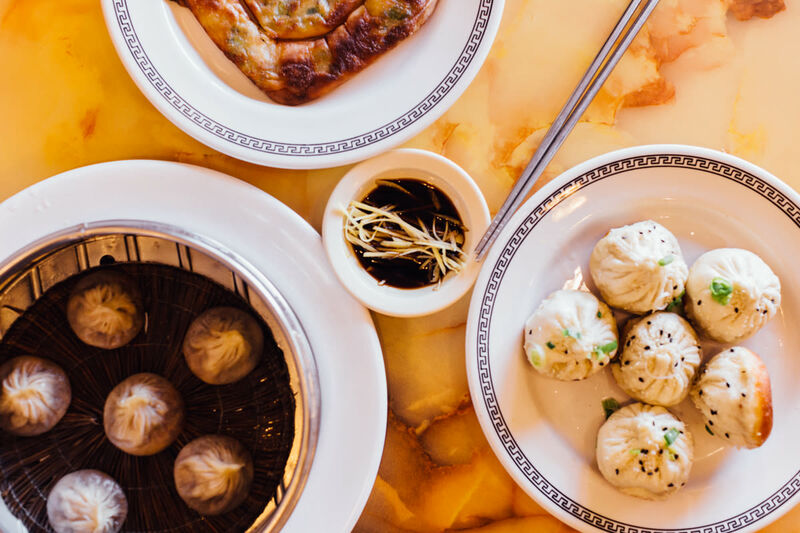 Houston is a great place for Chinese food—in Chinatown. But inside the Loop, it's often a different matter. Fortunately, cocktail queen Mary Li—best known as former bar manager at Tony Mandola's Gulf Coast Kitchen—doesn't think Eastern food should be segregated to one part of town. 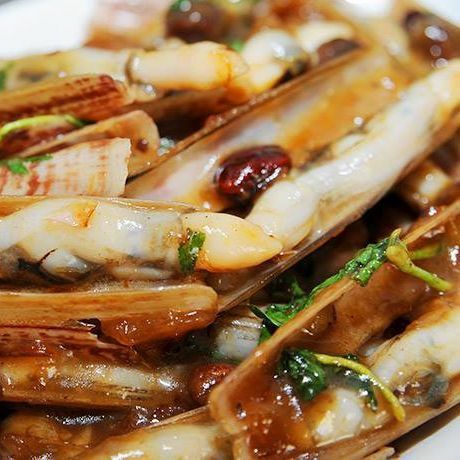 The eminently charming Li opened her own restaurant, Ginger & Fork, just off Shepherd at Inker in the former location of La Fisheria (which relocated downtown earlier this year) on March 15 to prove that Houston's "inner-city," as she puts it, can handle authentic Chinese ingredients. But the first dish she recommended to me was a plate of lettuce wraps. Lettuce wraps? What is this, P.F. Chang's? I wondered. 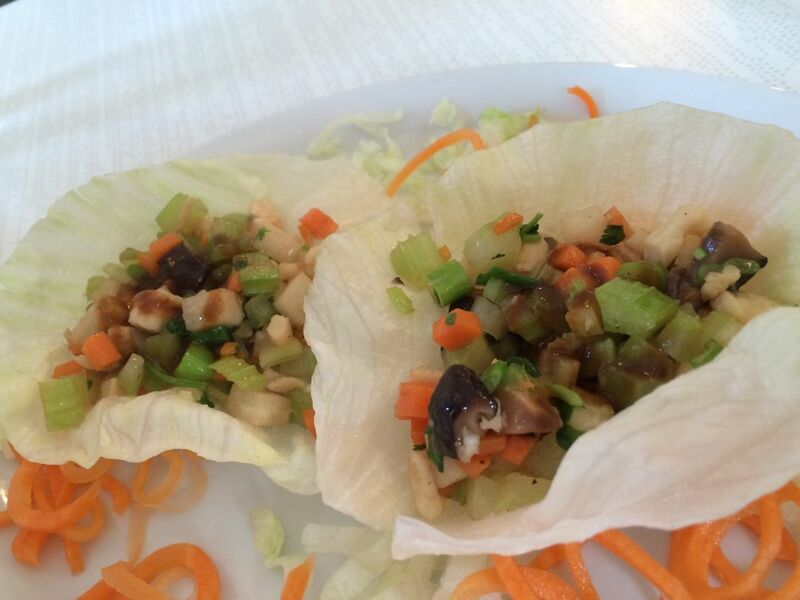 Turns out, the finely chopped stir-fry served in lettuce isn't a chain restaurant aberration, but a Cantonese dish called sung choy bao. They made a light, ladies-who-lunch-style pairing with a disarmingly spicy ginger margarita that sparkled with fresh lime. 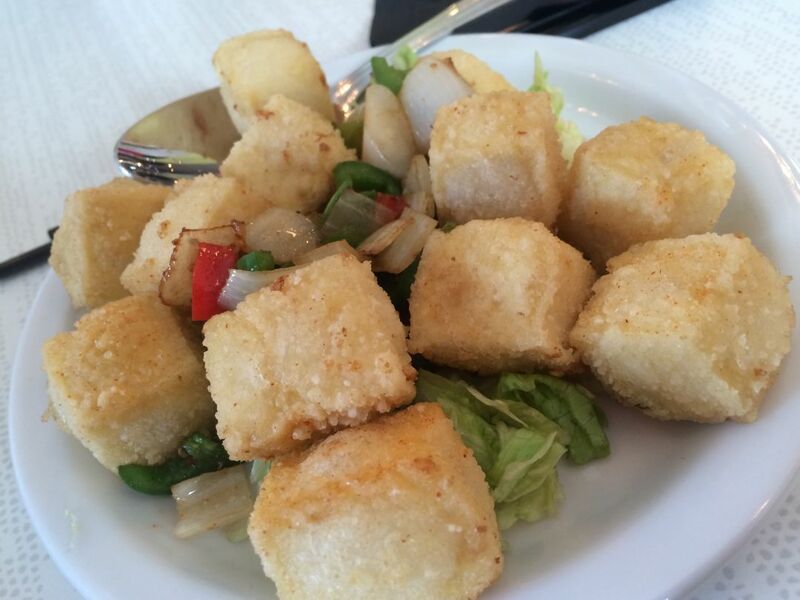 Taiwan also stakes a claim on salt-and-pepper dishes, but Hong Kong is Li's inspiration for the crisp-fried, lightly spiced tofu cubes she serves topped with jalapeños and onions. The chicken wings are so popular that Li recommended I try them, despite the similarity in preparation to that of the tofu. The chicken, however, is marinated for 24 hours before frying. The marinade doesn't add much in the way of flavor, but the result is an extra juicy wing. 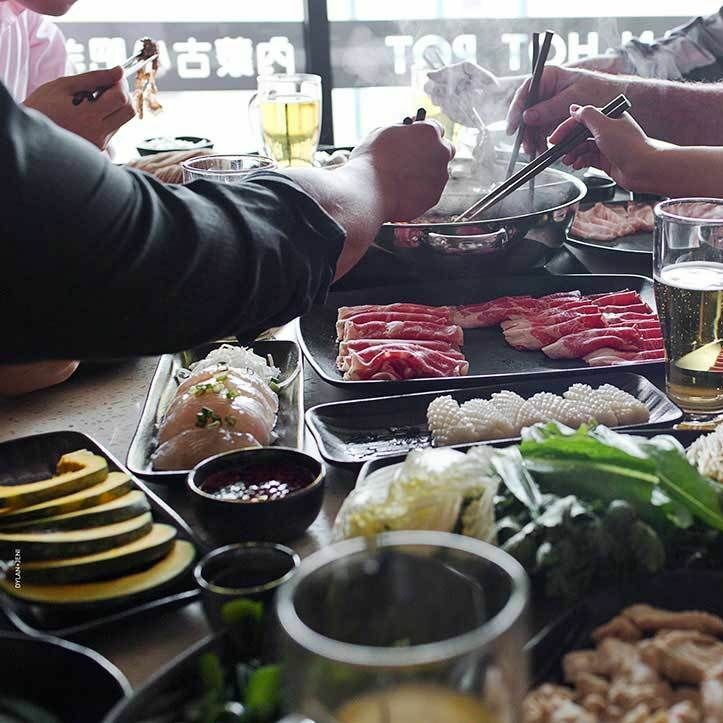 All this is prepared by Sinh Sinh and Little Sheep Mongolian Hot Pot alum Sammy Li (no relation to Mary Li). He knows Hong Kong food better than most in the Space City—after all, he spent 15 years cooking at the HK Grand Hyatt before moving to Texas. Still, Mary Li admits that many of her most popular menu items were made with Western tastes in mind. 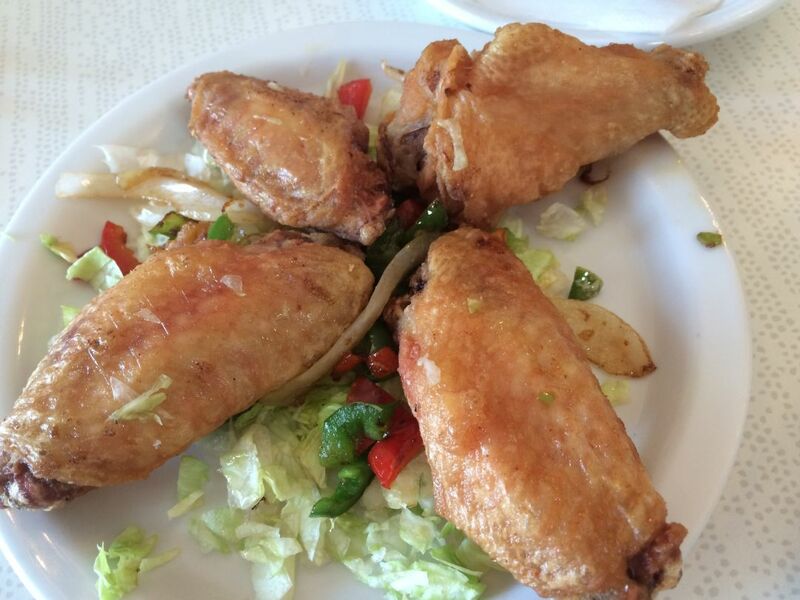 "You can't not have fried egg rolls," she told me. 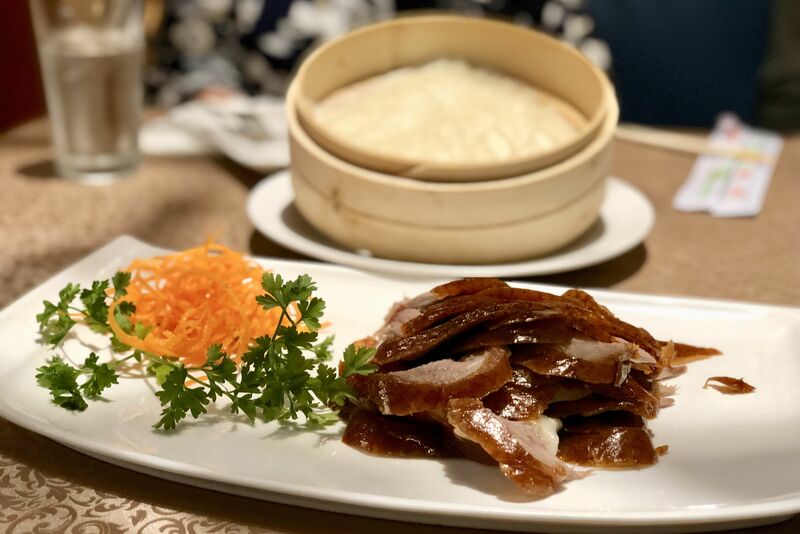 When I asked her which of her entrées was most representative of Hong Kong-Cantonese cuisine, she initially told me which dishes were being ordered most, including the steamed seabass in soybean sauce, a very approachable dish for western diners. 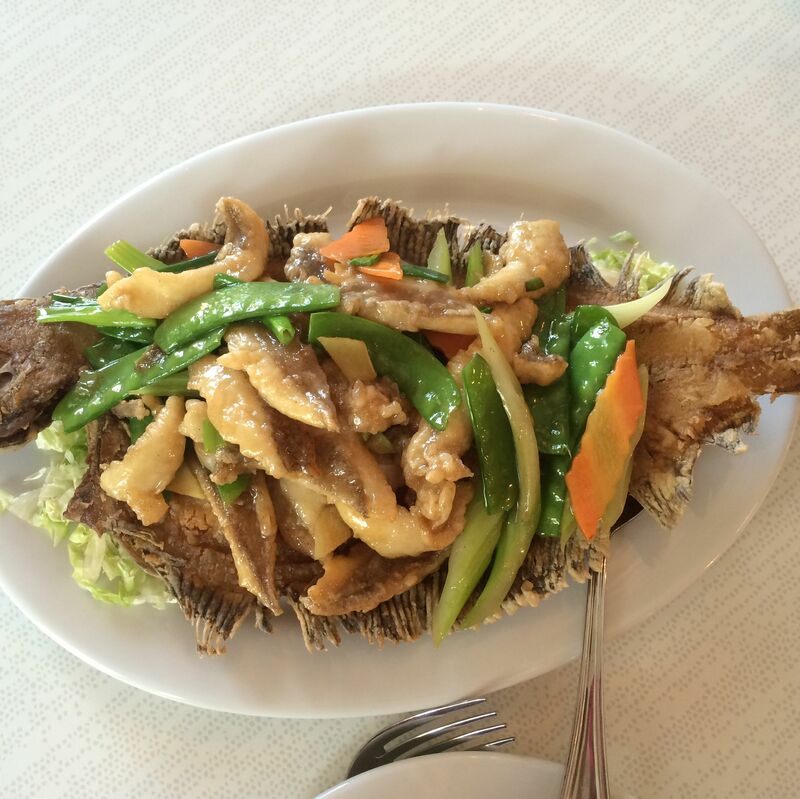 But as she opened up, she recommended that I try her favorite, the bone-brittle flounder. I was so glad she did. 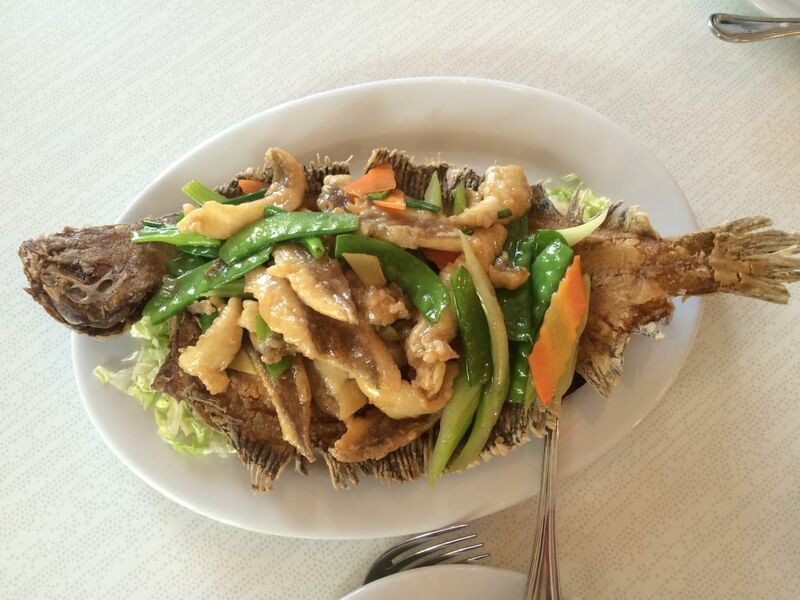 Sammy Li fries the fish until the tiny bones of its fins and flippers are crunchy and edible. Breaking off the crisp pieces reminded me of eating fried noodles at a Chinese-American restaurant. But thankfully, there was no duck sauce to be found, just the subtly flavored flesh of the flounder, served with peas, carrots and celery. 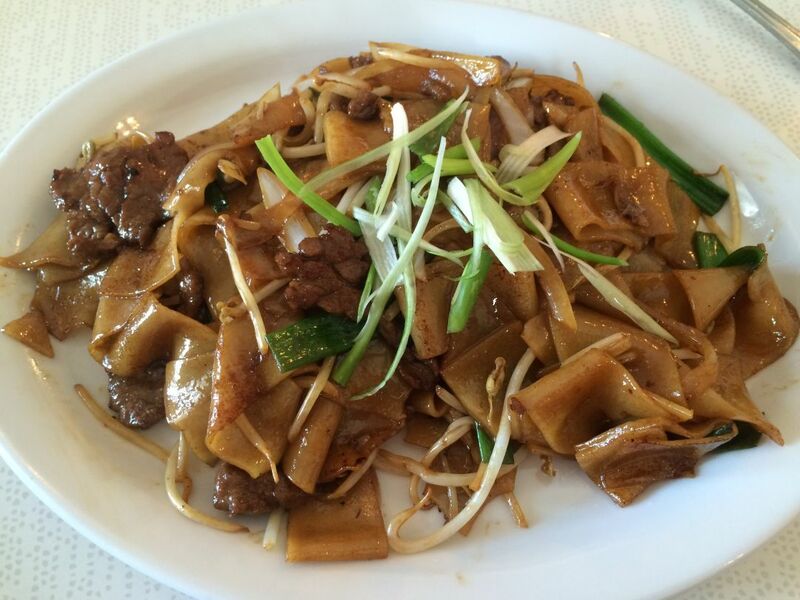 Beef chow fun with bean sprouts, $17. Li's other favorite entrée is her chow fun. She presented it to me with pride, saying that getting the thin rice noodles pliable but not sticky is a difficult feat. 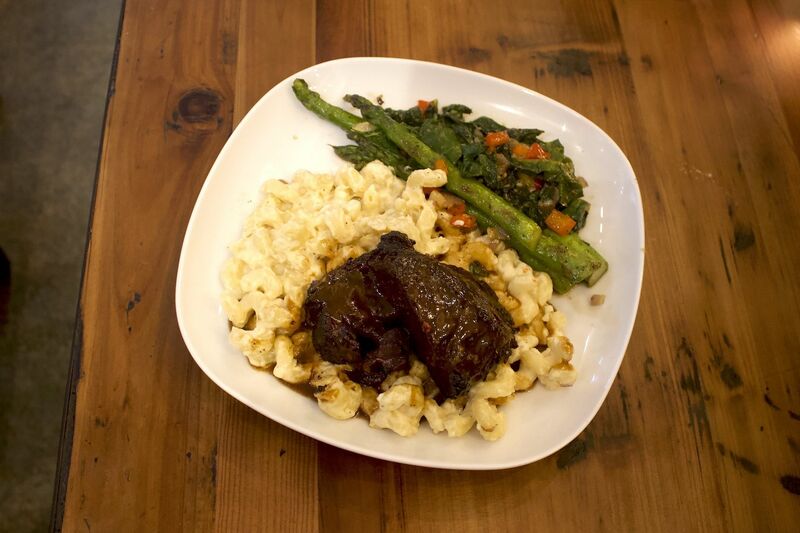 The intensely umami-flavored soy sauce preparation was a cut above, though not much different from what one would find at a take-out place, but the Angus beef included was. It melted with each bite. To brighten up the flavors, I paired it with snow pea leaves sautéed with garlic, which tasted like spring in a stir-fry. Most desserts come from Le Duc Gourmet Bakery & Café, where the Montréal trained pastry chef preps sweets to Mary Li's specifications. 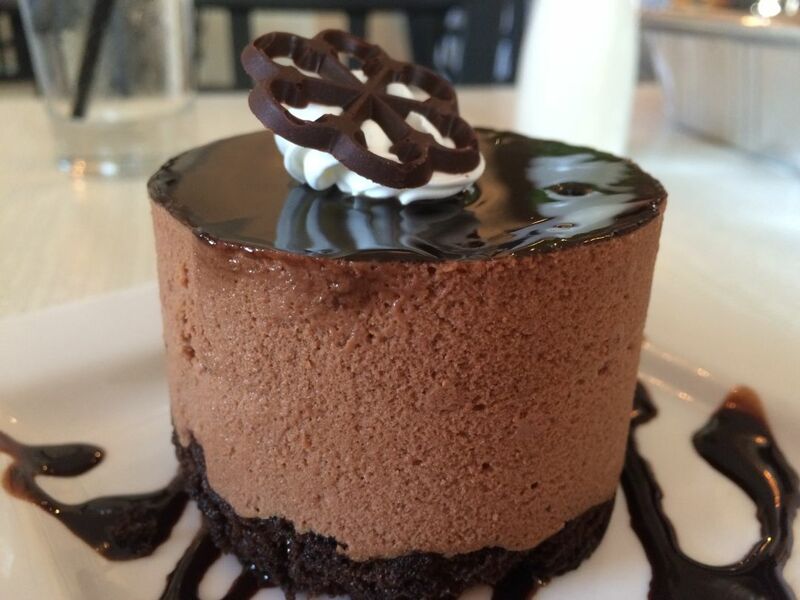 The layered chocolate mousse tart is full-0n Euro, while a cheesecake parfait is heavily flavored with ginger for a whiff of the East. 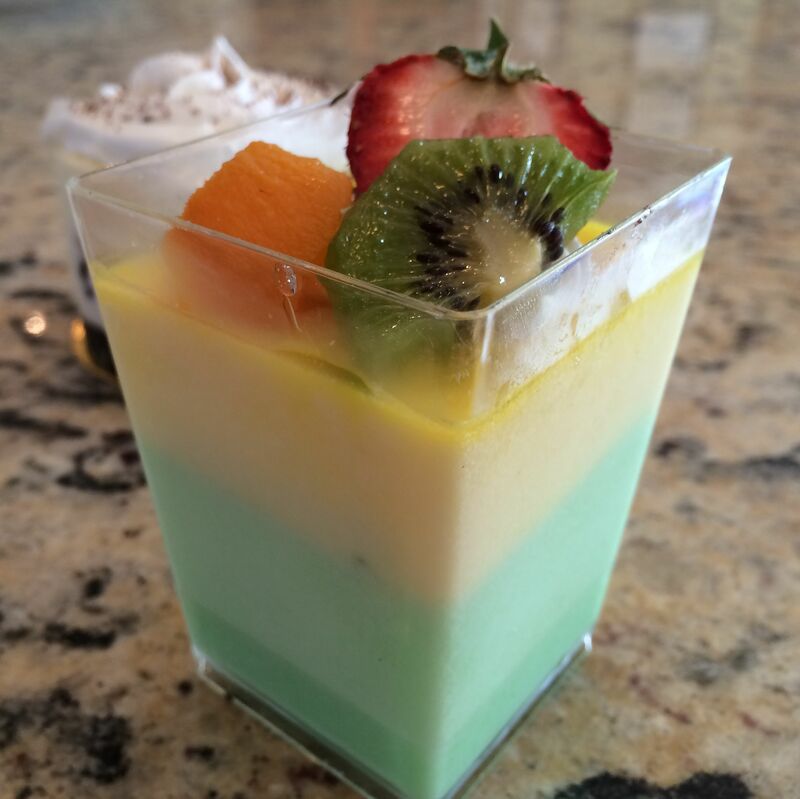 But Sammy Li and his team make perhaps the most special dessert of all, a warm crème brûlée not only flavored with Asian pears, but thick with chunks of the fruit. So perhaps not everything at Ginger & Fork comes to the Heights directly from Hong Kong. 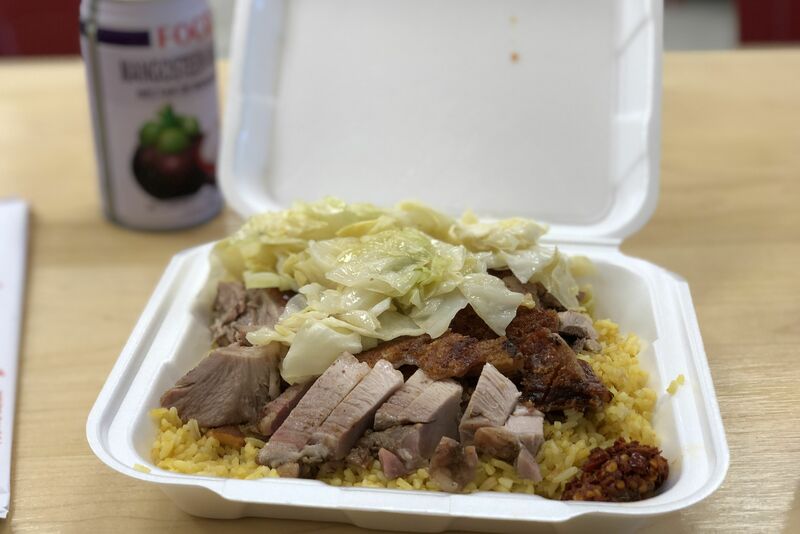 In its first weeks, the locals seem to be piling into the homey dining room for a taste of the orient in an area otherwise filled with taquerias and barbecue. $ Bakeries, Vietnamese 11528 Bellaire Blvd. $$$ Chinese, Seafood 9788 Bellaire Blvd. $$ Chinese 4705 Inker St.